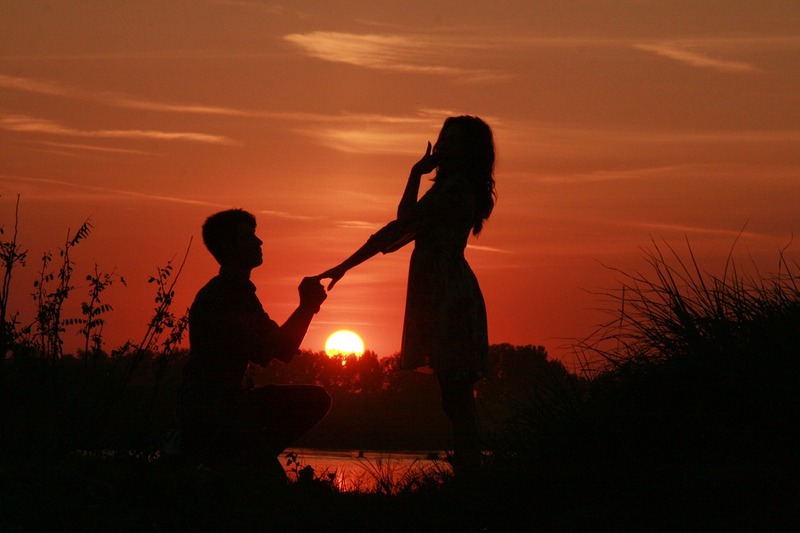 You probably spend the entire day fantasizing about the moment you’ll pop the question to your girlfriend. Most introverts planning a proposal do, though they’re clueless about their loved one’s taste for an engagement ring and how to proceed. But hey, don’t sweat it. Your shyness need not cast a shadow on your aspirations of marrying your lady. Sure it might be a little difficult for you to find your way on a first date, but this is your girl! You can do this! You can come up with a great proposal while staying true to yourself. Want to know what her taste is like and her fashion preferences? Scroll through her social media likes and posts for clues. If she’s posting about a particular cuisine often, you can take her to a restaurant that serves that cuisine. But if that option is too crowded for your liking, you can just make the cuisine yourself and arrange a weekend at home for the special moment. Also, check what kind of jewelry/accessories she likes or comments upon. This will help you infuse her style into the engagement ring. Front Jewelers and other stores are available if she has a unique taste for jewelry. For instance, morganite rings are unique compared to the traditional engagement rings and come in a variety of colors, such as rose gold, black and white. Therefore, you have the option to surprise her with a unique engagement ring in a color that matches her style statement. If you want to make the proposal a private affair with an exciting (not cliché) flare, setup the photos of the special moments you share with her in your apartment. Hang them on the walls or print them out and attach them to balloons. Doing this will make your girlfriend reminisce the moments of your relationship as well as show her how special she is to you, a perfect setting for popping the question. To add an element of surprise, you can pop the question in a different manner altogether. For instance, you can spell out the proposal with glow-in-the-dark stickers on the wall or ceiling. Light up a candle in the room that shines on only the two of you, turn off the lights, bend down on one knee, and ask her to look up. Perhaps you can ask a close friend to help you out in arranging this setting. Want to have some fun before popping the question? Set up a scavenger hunt at your place, her place, or where you first had a conversation. Ask her to visit the location for some reason, such as play, study, dinner or anything else that you do in your usual routine. You’ll have to leave clues around like photos, gifts, notes, monuments, or even use text messages to guide her. Things like fortune cookies should be avoided as they make it apparent that you’re going to propose; you want to keep the element of surprise alive. Make sure the hunt ends at the exact spot where you plan to propose her. These tips will ensure you pop the question with confidence.